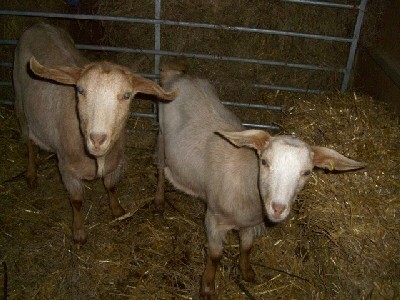 Gilly the goat arrived with Gemma her kid late in November 2007 and settled in well. 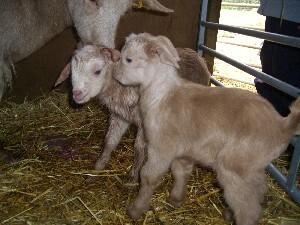 They are Golden Guernsey goats and are very affectionate and have a docile nature. Gemma is very playful and loves clambering on the straw bales. Gilly had a kid named Samuel during our Easter Monday 2008 Open Day. See the pictures in the photo gallery. We milked Gilly every morning and usually got between 750ml-1 litre of milk every day. We used this ourselves and any milk remaining at the end of the day was used to feed our bottle fed lamb, Crocus. We also made some goats cheese, which was mild but delicious! Unfortunately Samuel had to be put down at the end of September 2008 as he had complications with his waterworks. 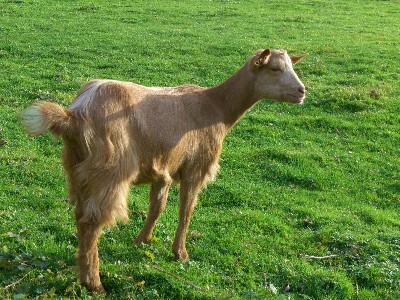 We were given another female Golden Guernsey, Georgina, who is about the same age as Samuel, so we take her out instead. Gilly gave birth to Stephen in March 2009 and Gemma had Jenny a few days later. 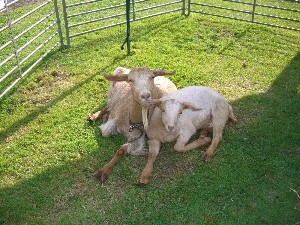 Stephen has been castrated so we will be keeping both goat kids. In March 2010, Gilly had Jacob and Gemma gave birth to James & Jerry. They have been castrated so they can join the herd. In 2010, Gemma gave birth to James & Jerry, and they were sold to James Place. In 2011 she had Joey. In 2012 she gave birth to triplets, but sadly only Joshua survived. In 2011, Jenny gave birth to Joel and Josie and then in 2012, Jonathan and Joanna. Jonathan had a "waterworks wiring issue" and so we could not castrate him. 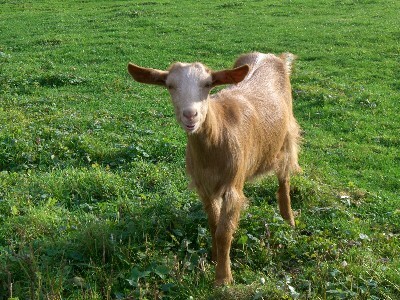 Consequently, he became goat curry as soon as he began to show an unhealthy interest in his mother and half- sisters. In 2013, Gilly had one male kid and as Gilly is now 12 years old we decided to retire her. She lives with 6 other non breeding goats. Gemma had John and Tim and Jenny had Jezebel and Jane. In 2014, Gemma had Jairus and Jean. Jenny got very skinny during 2013 so we rested her in 2014. Gilly's daughter, Jessica gave birth to Jasmine, Julia and Janet in 2014. Jenny's daughter Joanna (Gilly's Great Grandaughter) has joined the breeding herd and gave birth to Joy, Jewel and Jazz in 2014.